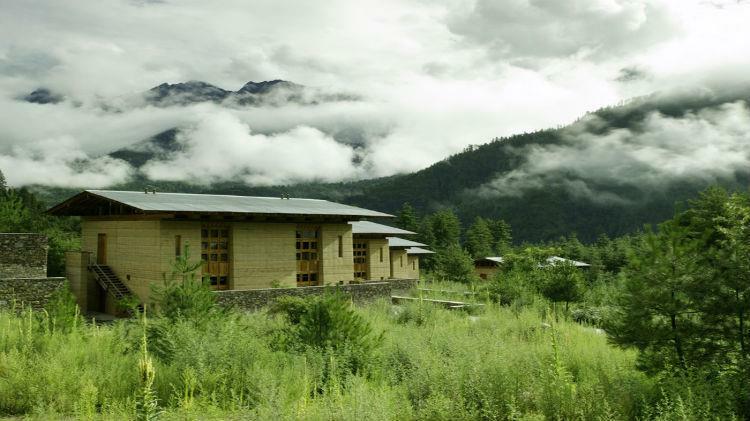 This morning you will head to the north end of the valley to view Trashi Chhoe Dzong, the seat of Bhutan’s government and Royal offices, and pay a visit to Pangri Zampa, two 16th century buildings that now house a monastic training school for astrologers. At the head of the valley, should you wish to stretch your legs; a short hike will take you to Cheri Goemba, the monastery where the first monastic body was established in the Kingdom. Back in town you should be able to visit a few of the capital’s cottage industries ranging from traditional paper making to hand rolled incense. 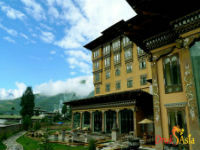 We opt for an early departure for a dramatic drive over the high mountain pass of Dochu La and on to the Punakha Valley. Sights on the way include one of Bhutan’s first fortress monasteries, the 17th century Simtokha Dzong, and ancient wall paintings at the Hongtsho Goemba monastery. The journey continues over the 3,050m mountain pass where on a clear day, towering Himalayan peaks are clearly visible. The descent down thru the Punakha Valley along the Kingdom’s only east-west highway will loop you through the Valley of Wangdi where you can visit the rustic Wangdiphodrang Dzong and perhaps the local town temple next door. 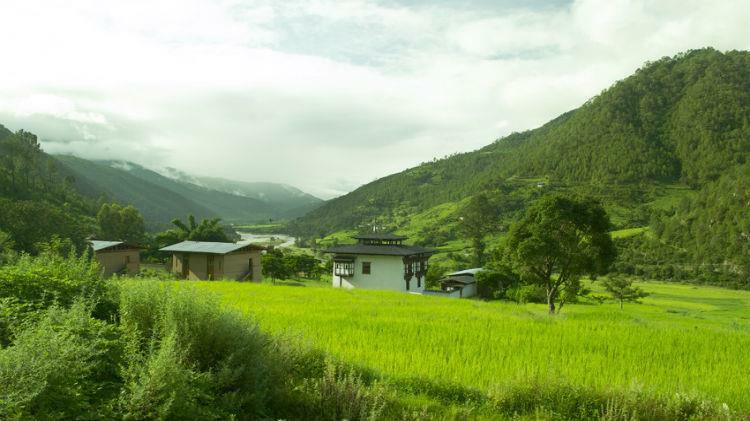 Time will be afforded to walk this small village and explore its row of intimate shops before heading back into Punakha Valley. This afternoon you will have a choice to visit the village of Talo, home of the Queens’ and the valley’s protective deity lhakhang. 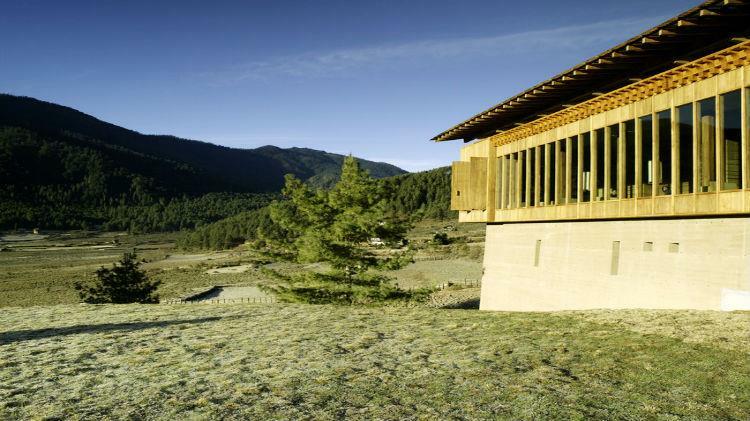 Later in the afternoon a hike to an ancient monastery on the hilltop behind the lodge can be organized or time given to enjoy the farmhouse and spa of the lodge. Your day in Punakha Valley begins with a hike up thru fields of chilies, cabbages and rice along the banks of the Mo Chhu to the upper end of the valley to the Khamsum Yuelley Namgyal Chorten, a stunning monument recently built by the Queens and consecrated in 1999. Returning down thru the valley you will have plenty of time to take in the impressive Punakha Dzong, home to the remains of Bhutan’s first ruler, Shabdrung Nawang Namgyal, and the winter residence of the monastic order’s leader and his entourage of monks. 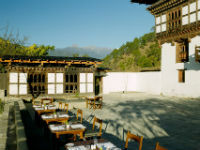 Later a picnic lunch will be served on the banks of the Punakha Chhu at a vantage point of the stunning Dzong and confluence of the Mo Chhu and Pho Chhu. Following lunch a quick drive will take you to the village of Talo where you will stop to walk the stunning, quiet grounds of the village temple and perhaps visit the home village of the Kingdom’s four Queens. Further hikes or valley excursions can be organized. After descending back down from Dochu La, you will follow your way back up the dramatic Wang Chu and Paro Chu river valleys, before crossing through Paro Town towards the north end of the valley. 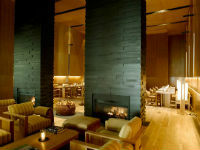 Here, set in a pine forest, you will find the Amankora lodge and its spa. 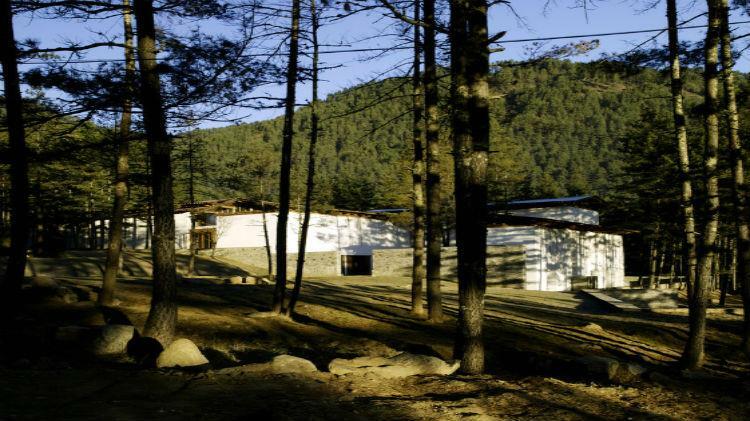 In the afternoon, there is an opportunity for a quick stroll to the nearby ruins, a visit to some of the valley’s oldest and holiest religious monuments or a ramble down Paro’s main street. 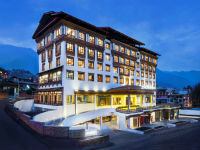 Evenings at Amankora may include informative lectures on the history, religion, flora and fauna of the region or an intriguing movie on the Himalayas. The day starts with a visit to the National Museum, housed in the Ta Dzong (watchtower). Here, an intriguing collection of artefacts provide a wonderful introduction to the rich culture and heritage of the Kingdom. Just a short walk downhill lays the dominating Paro Dzong, a fine example of Bhutanese historic architecture. From the Dzong, the tour crosses Nyamai Zampa, a traditional cantilever bridge, and guests are then driven to the town temple, built in 1525, to view ancient wall paintings. 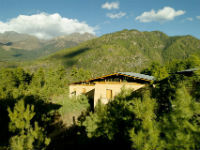 Paro options include picturesque picnic spots or, perhaps, a visit to a traditional farmhouse to lunch with the family. 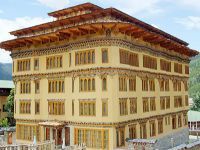 This afternoon there will be choice of excursions with those wanting a further immersion into the culture and religion, visits to the Kyichu Lhakhang, Dumtse Lhakhang and the Drukgyel Dzong alter room can be organized. For the hikers, a beautiful trail can be taken up behind the lodge carrying on past Drukgyel Dzong, along the Paro Chhu, then across a suspension bridge and up thru terraced farmland and forests before looping back down the river to a second bridge and across the river, returning to the lodge. In the meanwhile, my travel mate Janice & I would like to express our most heartfelt appreciation & commendations to our Bhutanese guide Kinley Gyeltshen & driver Sangay who took such good care of both of us throughout the entire trip. Both of them are more than guide and driver, they are just like our friends & brothers! Kinley is very knowledgeable and shared so much with us about Bhutan from the cultures, food, lifestyle, royal families, Buddhism to anything we want to know.